WOW! 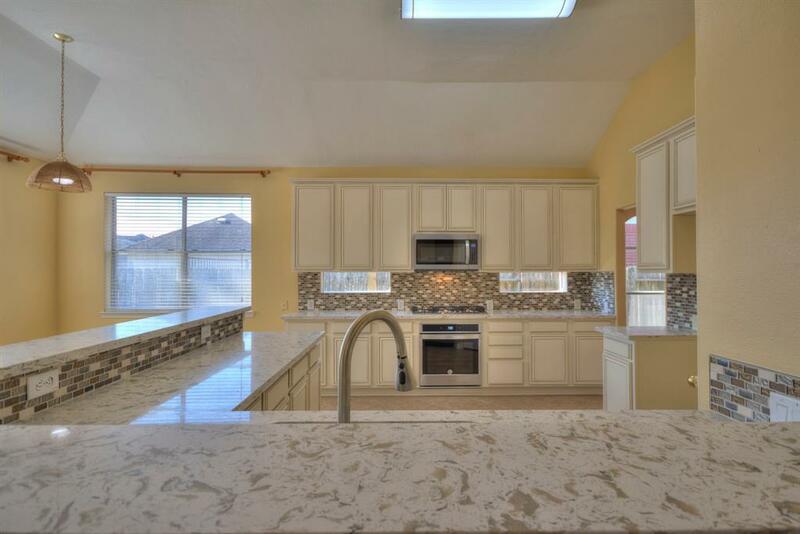 This home has some recent updates including beautifully refinished cabinets in the kitchen, quartz countertops in kitchen and bathrooms, new contemporary lavatory bowls in baths, and brand new stainless steel appliances in kitchen! The a/c system has been replaced a couple of years ago with new refrigerant technology. There is no carpet in the house, but rather warm laminate floors. 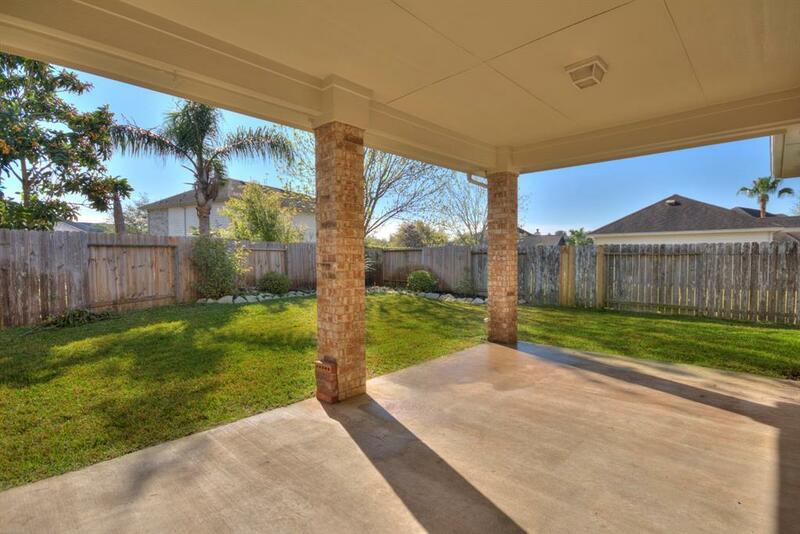 The covered patio in the back create a delightful outdoor entertainment area. Very open floorplan, with spacious rooms designed for entertainment! Ultimate privacy with 24/7 guarded, gated entry into the community. Outstanding community amenities include clubhouse with huge pool, tennis courts, and more! 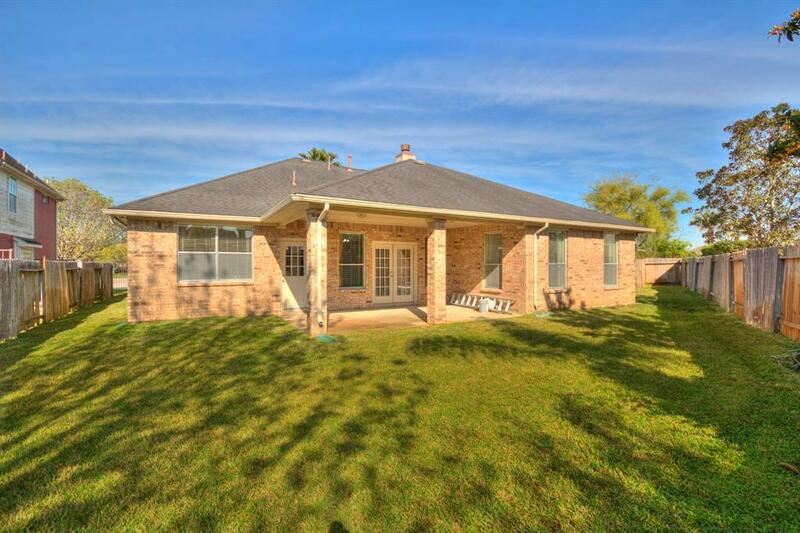 Very convenient to Hwy 288 and Beltway 8 within close proximity to restaurants, schools, and shopping. 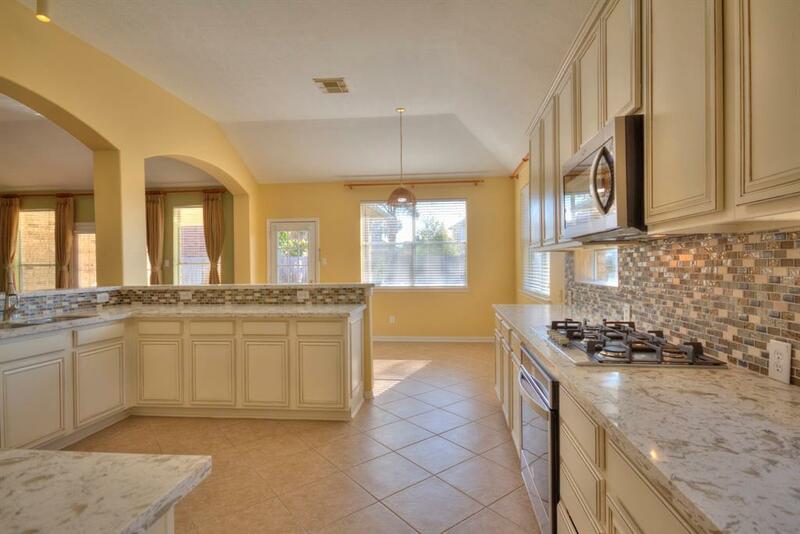 Come make this your home in a delightful neighborhood. Golf anyone? The Countryplace Golf Course encircles the community! Bring your golf cart and join the fun!